Elephant & Castle in Wakefield has accommodation. The pub is a family friendly pub, it serves food. Elephant & Castle serves real ale. The pub has a smoking area, it has free WiFi. Elephant & Castle has a dart board. The pub has a pool table, it has a big screen. Elephant & Castle shows football on TV. The pub has Sky Sports, it has terrestrial TV. 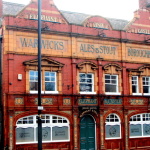 Elephant & Castle is a member of Cask Marque. Henry Boons in Wakefield has disabled facilities. The pub gives a warm welcome to dogs and their owners, it is a family friendly pub. Henry Boons serves food. The pub serves real ale, it has a real fire. Henry Boons has free WiFi. The pub has a pool table, it is a member of Cask Marque. 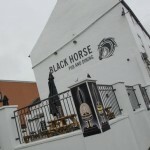 Black Horse in Wakefield has an outside area. The pub serves real ale, it has a smoking area. Black Horse has a dart board. The pub has a pool table, it has a big screen. Black Horse shows football on TV. The pub has terrestrial TV, it is a member of Cask Marque. Smiths Arms in Wakefield has a beer garden. The pub gives a warm welcome to dogs and their owners, it has a smoking area. Smiths Arms has a dart board. The pub has a pool table, it has a big screen. Smiths Arms shows football on TV. The pub has terrestrial TV. Harry's Bar in Wakefield has a beer garden. The pub has a car park, it has disabled facilities. 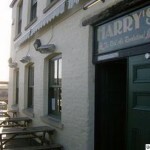 Harry's Bar gives a warm welcome to dogs and their owners. The pub serves real ale, it has a real fire. Harry's Bar has free WiFi. The pub is a member of Cask Marque. Hop in Wakefield serves food. The pub serves real ale, it is a member of Cask Marque. 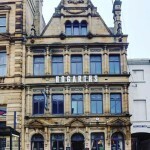 Hogarths in Wakefield has BT Sport. The pub shows football on TV, it has Sky Sports. Hogarths has terrestrial TV. 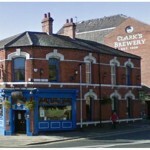 Graziers Arms in Wakefield has accommodation. The pub has a car park, it has an outside area. Graziers Arms has a smoking area. The pub has free WiFi, it has a big screen. Graziers Arms shows football on TV. The pub has Sky Sports, it has terrestrial TV. Stereo in Wakefield has a beer garden. The pub has an outside area, it shows football on TV. Wagon in Wakefield has a smoking area. The pub has a dart board, it has a pool table. Wagon has a big screen. The pub shows football on TV, it has terrestrial TV.